Now that summer has hit, all of you students heading toward the healthcare field have time to think beyond your textbooks. It’s a big world out there with lots of opportunities. As you map out the rest of the year and look ahead, here are three reasons to consider making an international service trip part of your plans. Unless you’re one of those special people who just naturally goes with the flow, most of us find being in a new place with strangers, eating strange food and hearing a possibly strange-sounding language a bit s-t-r-e-t-c-h-i-n-g. But as we’ve all been told before, getting out of our comfort zones can be a very good thing! In fact, if you are training in the medical profession, getting used to a rubberband life may really help you. After all, healthcare is a constantly changing field. Stretching international experiences can also make for good stories…At least they might be more interesting than that inorganic chemistry course you thought might kill you last semester! Whether we realize it or not, many medical personnel spend a great deal of each day interacting with people. Patients, patients’ families, and coworkers, not to mention our own families and friends, all come into play. Beyond that, aren’t many of us here because we want to help people? If that’s the case, we need to be good at working with them. While we can read all of the books we can find (and some of them may be helpful), a lot of people-reading skills are built by hands-on experiences and watching how others handle situations. Sure, you may feel more comfortable looking into your microscope, but. hey, if nothing else, realize that doing some things that involve people will look good on your med school applications or resume. Like we said, many of us in medical professions (or heading toward them) are doing what we’re doing because we want to help people. Of course, we strive to do this every day no matter where we are. However, imagine serving people who have limited access to quality care. For example, in 2011 there were 2.45 physicians per 1,000 people in the US while there were 0.47 in Bolivia, 0.36 in Bangladesh, 0.08 in Zimbabwe and (2009) 0.93 in Guatemala. In nations like these, you could be a part of hands-on medical work (a definite plus) and meet a real need. While you may encounter a rare tropical disease or two, in communities around the world, men, women and children struggle with common and treatable yet untreated conditions. Maybe our heads, hearts and hands are supposed to be the ones to help them. Do you have plans to use your medical skills to serve abroad this summer or later this year? We’d love to hear where you’re headed and what inspired you to buy your ticket! 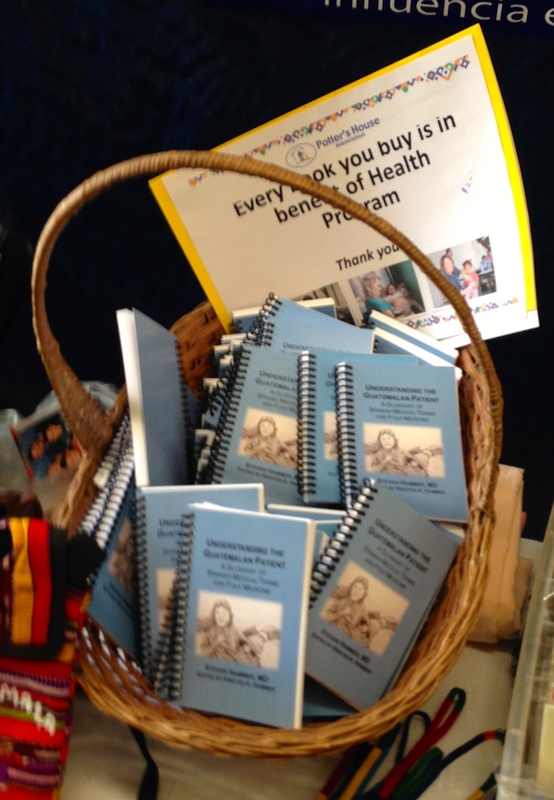 And if Guatemala or its nearby neighbors are on your route, don’t forget to pick up your own copy of Understanding the Guatemalan Patient: A Glossary of Spanish Medical Terms and Folk Medicine and share your feedback with us. 1 CIA The World Factbook https://www.cia.gov/Library/publications/the-world-factbook/fields/2226.html (accessed 24 May 2015). This entry was posted in Inspiration and tagged Bangladesh, Bolivia, Guatemala, healthcare field, international service, med students, medical mission trip, serving overseas, Spanish medical terminology, Spanish-speaking healthcare provider, students in the healthcare field, travel, Zimbabwe on May 26, 2015 by stevenhammermd. Some days in your clinic are just plain peanut-butter-and-jelly days – nothing particularly brain stretching, no cases that you could find in Hunter’s Tropical Medicine, no life-saving measures. You can’t get more routine than an ingrown toenail, can you? Thankfully, a medical interpreter is handy to help you communicate with this patient and his wife. However, when the interpreter says “uña encarnada“, your patients blink without recognition. You have your own copy of the Stedman Bilingüe Diccionario de Ciencias Médicas at home – good healthcare providers are life-long learners, right? – so you know that’s the standard medical terminology. But you decide to go out on a limb. That starts a fast-paced side conversation between them and the interpreter while you set to work, relieving the poor man of his simple but noticeably painful malady. I’d better give the interpreter a card for Understanding the Guatemalan Patient before she leaves, you decide. After all, sometimes it’s the little things that make a big difference. This entry was posted in Word of the Week and tagged community healthcare in Latin America, Guatemala, Guatemalan healthcare, ingrown toenail, providing healthcare for Hispanics, Spanish-English medical interpreting, Spanish-speaking healthcare provider, speaking like a local, uña encarnada, uñero, uñero in English on May 4, 2015 by stevenhammermd. This entry was posted in Word of the Week and tagged amarillo, community healthcare in Latin America, Guatemala, Guatemalan healthcare, ictericia, jaundice, Latin American healthcare, medical Spanish, other names for jaundice in Spanish, Spanish, Spanish-English medical interpreting, Spanish-speaking healthcare provider, speaking like a local, Word of the Week on March 9, 2015 by stevenhammermd.